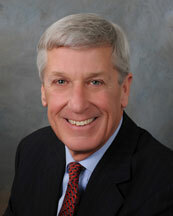 John O. Wilson is President of HSA PrimeCare, HSA Commercial’s healthcare real estate group. He leads a group of talented professionals specializing in healthcare real estate consulting, leasing, development and property management. In 1995, Wilson created a healthcare real estate advisory initiative, which has grown into a separate operating division: HSA PrimeCare. Wilson oversees the growth of this group, which has served clients such as Good Samaritan Hospital, Christ Medical Center, Lutheran General Hospital, University of Chicago Hospitals, Silver Cross Hospital, Children’s Memorial Hospital, Advocate Health Centers, Franciscan Alliance, Ingalls Health System, St. Joseph Mercy Health System, South Suburban Hospital, and several independent physician practices. The group has developed, leased and/or managed medical office buildings totaling over 1.5 million square feet. Mr. Wilson has been a speaker at several real estate conferences focusing on healthcare real estate over the past several years. Having been in the industry more than 35 years, Wilson is one of Chicago’s most respected commercial real estate leaders. He has been successful in all aspects of the industry, including tenant representation, property management, real estate development, land transactions and owner representation. Wilson has negotiated hundreds of real estate transactions valued in excess of $1 billion. Wilson is a licensed real estate broker in the State of Illinois, a professional affiliate of The Center for Health Design, a charter member of the Chicago Office Leasing Brokers Association, on the Advisory Board of B.U.I.L.D, and a member of the Healthcare Financial Management Association.